Want to invest in a luxurious nest far from the madding crowd? Here's all you need to know about real estate before you splurge on a home away from home. Imagine a golf course in your own backyard where you could sink a chip shot from your patio into the gentle rolling greens, away from the hectic crowds of the city you live in. Sounds like a dream? This aspiration of having a 'home-away-from-home' exemplifies today's major residential realty trend among urban Indians looking for a lucrative investment option in the form of a haven in their favourite holiday destination, or even a place just outside the city they live in. To tap this growing opportunity, the country's top builders have been entering into new land deals on the outskirts of metropolises like Mumbai, Bangalore and Kolkata. The total revenue generated by India's real estate industry in the fiscal year 2011-12 stood at around $314 million, contributing to five per cent of the country's GDP. Vacation homes, albeit a new trend restricted to a small number of affluent individuals, have a considerable share in the chunk. According to Disha Direct, the pioneers in the Second Homes real estate concept in India, the country saw a rise in its second home sales by 50 per cent from 2002 to 2007, before the global recession caused a slump in the market. Santosh Naik, managing director and CEO of Disha Direct, reckons that the demand for second homes has seen a stupendous rise in recent times, even though the real estate market has been stagnant in most cities. 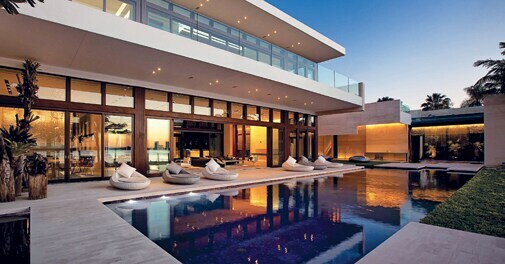 "Every individual would like to own a second home as it is a symbol of success. For high net-worth individuals, it is a great investment option with profitable returns," he says. 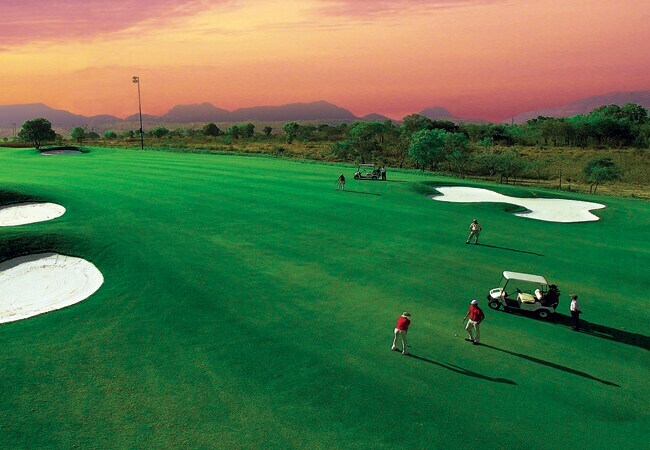 There are currently a number of players in the fray, offering ultra-luxurious properties with clubhouse facilities. Understanding the affluent buyer's demands, these properties are far-removed from regular assembly-line constructions. Villas and farmhouses are the preferred choice for these designer homes, and real estate companies offer fully-customised luxury homes with only five to seven options in each category. So, before you streamline your finances to splurge on a one-of-a-kind vacation home, take a look at some key parameters and factors that need to be kept in mind. A recent survey by ASSOCHAM concluded that a whopping 85 per cent of urban and upwardly mobile working youth prefer to invest in real estate as against gold, stocks or mutual funds. Additionally, many factors such as availability of a wide range of high quality residential formats in Tier II and Tier III cities, competitive home loans, and improved real estate transparency have fueled the rising aspirations of the urban investor. Second homes are sought primarily as a means for a getaway from the city, and hill towns are favoured destinations for vacation homes. But be mindful that in some states like Jammu & Kashmir and North-Eastern Manipur and Sikkim, one cannot purchase real estate unless he is a domicile. The restrictions are laid down to protect the socio-economic character of the states and prevent locals from being dispossessed. Hence, check in advance with a local realtor before zeroing in on a property. The demand for buying luxury residential property in hill stations like Mussourie, Nainital, Coorg, Mahabaleshwar, Khandala and Lonavala has been on rise for a couple of years now. Consequently, the growing demand has driven real estate giants like Sahara Housing and Infrastructure to develop its 10,000 acre 'hill city', called Aamby Valley Sahara Lake City. A textbook example of second homes or vacation homes, Aamby Valley offers facilities like an 18-hole golf course, concept properties with one and two bedroom timber chalets, and sumptuous two acre villas. All this in the midst of the scenic Sahyadri mountains on the Western Ghats of India. To top it all, there's even a manmade lake and a theme park with watersports and adventure activities! The gated community has caught the imagination of well-heeled high net-worth individuals, corporate honchos and NRIs. 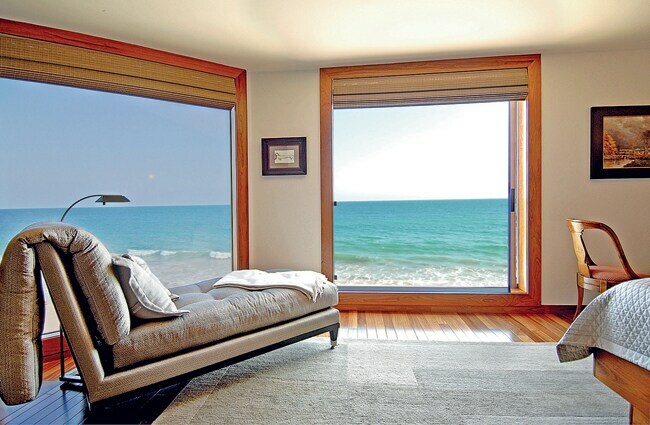 According to a dipstick survey conducted by Homebay Residential, a subsidiary of Jones Lang LeSalle international property consultancy, there are many choice determinants that a prospective investor can look into before purchasing a vacation home. These include location in terms of a preferred holiday destination; quality of architecture and design of the property on offer; facilities like golf courses, clubhouses, concierge service, ski lifts and even private yachts; accessibility from the nearest airport or helipad; en suite maintenance and property management facilities, including round-the-clock security; local infrastructure of the destination in question; and local community. These factors not only promise a worthy investment for a dream home but also factor lucrative returns in terms of rental income. Those who invest in a vacation homes tend to go for properties located in accessible destinations with convivial surroundings. The location of choice can differ in accordance with the individual's personal preference - while some look for an urban fringe home in the form of a farmhouse for holding special gatherings and others opt for a piece of paradise in a remote beach town, there are quite a few people who even seek a reclusive lifestyle steeped in wellness and spirituality in a pilgrimage town such as Rishikesh or Mathura. Take, for instance, the 240-acre Royal Palms Estate in the midst of Mumbai's only green belt. Surrounded by as many as 20,000 acres of the Sanjay Gandhi National Park in Borivali, it can be a great option for a second home within the city. Similarly, golfing enthusiasts could invest in a planned golf course community such as Karma Lakelands by Unitech or Tarudhan in Manesar, Delhi NCR. Since popular vacation home options are mostly spread out in smaller cities and towns, property rates are relatively cheaper in comparison with their urban counterparts. Luxury homes located closer to the cities, with frills like outdoor swimming pool and orchards or kitchen gardens, together with latest infrastructural facilities, come with a hefty price tag. For instance, prices for farmhouses in Bijwasan and Mehrauli in New Delhi begin at Rs 2.5 crore and go beyond Rs 12 crore. In Alibaug, close to Mumbai, row houses sell for anywhere between Rs 70 lakh and Rs 2 crore, bungalows go for Rs 25 crore to Rs 7 crore and plots range from Rs 2 lakh to Rs 2 crore. 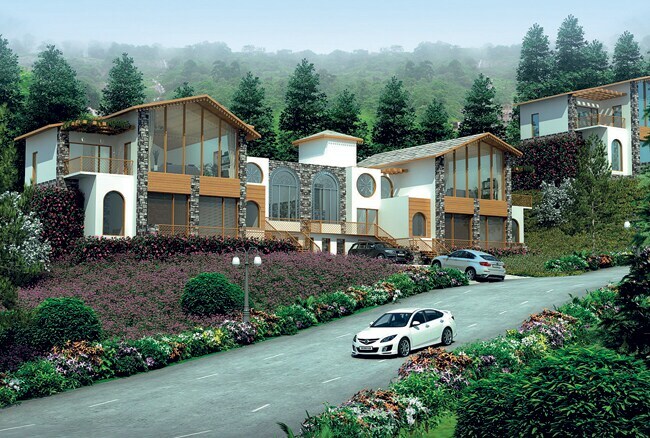 Upcoming hill stations like Kasauli offer bungalows that go for Rs 30 lakh to Rs 5 crore. These prices depend on the destination, location, size of the units, amenities provided, and developer's reputation.